Shop Our Extensive Master Healing Wand Inventory Here...Healing tools have been around for a long time. We think in modern society of pills, surgical instruments, and electronic gauges as the healing tools of our time, but that only proves how far away from ourselves, and our history we have become. Just in what we know of the Native American lineage, we can pull many healing tools that served different purposes in their indigenous culture. The dream catcher to catch and dispel bad dreams before they entered your mind. The smudging sticks, to cleanse and purify the surroundings and stave off negative spirits. Talking sticks for mediation and community solutions. The Egyptians also had similar tools. They used gems as spiritual totems to connect with the spirit world, and to insure proper afterlife. Their tombs have been discovered to have many different crystals and hand tools used for connecting with the gods or spirits. In South America it is believed that the ancient shaman would use sticks, feathers, mud, and stones as healing wands or tools. It is even thought that crystal skulls were carved and utilized as divine instruments for healing and activation of the light body. But what is the purpose of healing tools, and what are the most effective ones in our own day and age? Effective healing tools are based upon the individual. Many people who do energy healing feel that they do not need tools, and most definitely they do not. Using your hands can no doubt create a healing effect. It seems that those who use tools are those who are willing to dive deep into the outside world, and plummet into the nooks and crannies of power, to achieve a more macro effect. In other words, those who resonate with using healing tools, are those who are using the outside world as an extension of the godself, to achieve heightened states of vibration and frequency. Healing tools can be as simple as a necklace that was gifted to you as a family heirloom, or as intricate in design as an Authentic Vogel Crystal. But what seems to be the current evolution in significant healing work is crystal that is subtly programmed to vibrate with your own unique frequency. So is the case with the Master Healing Crystals. Marcel Vogel discovered the power of sacred-geometry crystals. He brought forth the healing techniques, and specific shaping blueprint to create healing crystal wands of immense power. He trained only a chosen few in these techniques and with this treasured knowledge. And now, those of us in the Vogel lineage, who stood along side Marcel is his research, are continuing his message. 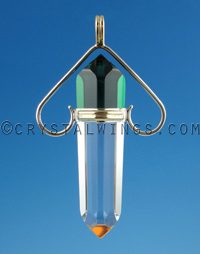 In addition to providing the Authentic Vogel Crystals, we are now providing the next evolution, the Master Healing Crystal (MHC) line. 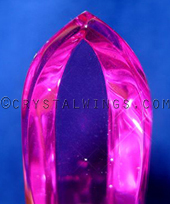 Authentic Vogel Crystals are the original blueprint that Marcel set forth in his research in the 1980's. They are cut within the parameters of sacred geometry, are double terminated, and have even sides. 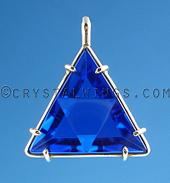 The Master Healing Crystals also are cut with the sacred angles, yet they have sides that vary in size and shape, making their vibration unique and more specific. It was thought that the next step in the Vogel technology was taking the sacred angles, and expanding upon the designs so that those light workers who needed a more vast array of workhorses would have them at their disposal. Just as Marcel Vogel discovered with his initial designs, quartz that is carved and shaped to mimic certain sacred angles could be measured by man to emit frequencies - healing frequencies. And this is what the Vogel Crystal does, among a vast array of other modalities depending on your intention. After Marcel passed away, the Vogel lineage was left to continue the teachings, and the subsequent scientific designs, to hone in on the activation of light workers and their immensely important labor in this time of change and uncertainty. With much meditation, inner guidance, dream work, and journeying, the Vogel lineage brought forth the Master Healing Crystals - tools that are slightly varied and one-of-a-kind in their vibrational blueprint, designed to fit into the puzzle piece of a specific light workers earth walk. "To say it in another way, the Master Healing Wands began to emerge one by one, to be coupled with particular humans with unique gifts." To say it in another way, the Master Healing Crystals began to emerge one by one, to be coupled with particular humans with unique gifts. In many ways, this line of wands have been designed to put the power of the path in your hands. This is not for the weak of heart, for these tools are being distributed to those who are in the process of fully activating their light body, and becoming beacons for energetic ascension processes. You also must trust your intuition and gut instincts with these tools. Choosing one alone can be a initiation of sorts. You must let go, or bypass your mind (“what color, what shape, what name is attached to this wand?”) and see through your heart (“I feel an immense connection with this wand - it just somehow calls to me”). Some shapes in the MHC line are established cuts, like the Unconditional Love Cut, or the Flame of Saint Germain, which seem to be much needed vibrations on this earth plane in our work. Others are ‘freeforms' or completely unique, one-of-a-kind pieces. Whichever configuration you may resonate with, the power of bringing one of these into your life can be immense. Some find that their Traditional Vogel Crystals are the mother or father guide in their crystal work, and that their MHC pieces are the worker bees that submerge themselves into the deep unknown of the ethers and begin detailed work. Others have reported that when they communicate with their MHC, it has a more defined focus or purpose then their Traditional Vogel Crystals, which creates momentum in diving in to that particular work. These seem to be the most effective healing tools that have come forward since the time of Atlantis. They can assist with extracting toxicity out of the etheric body, generating unlimited positive energy, being a magnifying glass for any intention in the physical world, such as physical healing or manifestation, and are the most powerful radio transmitters of sorts to communicate with the spirit world, and to go unravel the multi-layered nature of meditative worlds. The important component to remember with the Master Healing Crystals is that they, too, are a vehicle to focus your intention through. 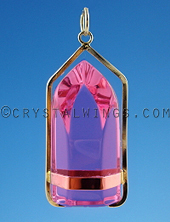 Like the Authentic Vogel Crystals, they have the power to amplify your thoughts and institute profound energetic change if you should choose to bring one into your life.